Change is a given in our global corporate marketplace. As internal communications leaders, it’s our job to keep employees informed and engaged amid a constant state of organizational change. But how do you do that when you’re up against outdated internal infrastructure and a loud, ticking deadline? 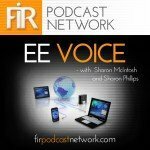 In the latest episode of our EE Voice podcast, Sharon Phillips and I spoke with Jim Smith, VP of Internal Communications and Engagement at Coty. In October 2016, Coty merged with Proctor & Gamble, forming the third largest beauty company in the world, with a combined workforce of 20,000 and two very different cultures. Jim joined Coty a week after the merger.